Chicken, feta, lemon, spices? What more can you ask for? Not much, in my opinion. Zesty, creamy, flavorful, healthy? It’s great! This seemingly fancy roulade (it even has a fancy name!) was very easy to make. I like dishes that look they took hours to make, but in fact just took minutes. It’s all about the wow factor, right? It pairs wonderfully with wild rice, roasted potatoes, or any sort of veggie imaginable. It would also be great to take as finger food to a party or BBQ. I can’t wait to make it again! Line a baking sheet with nonstick tinfoil. Arrange the pounded chicken breasts in a single layer and brush all over with oil. 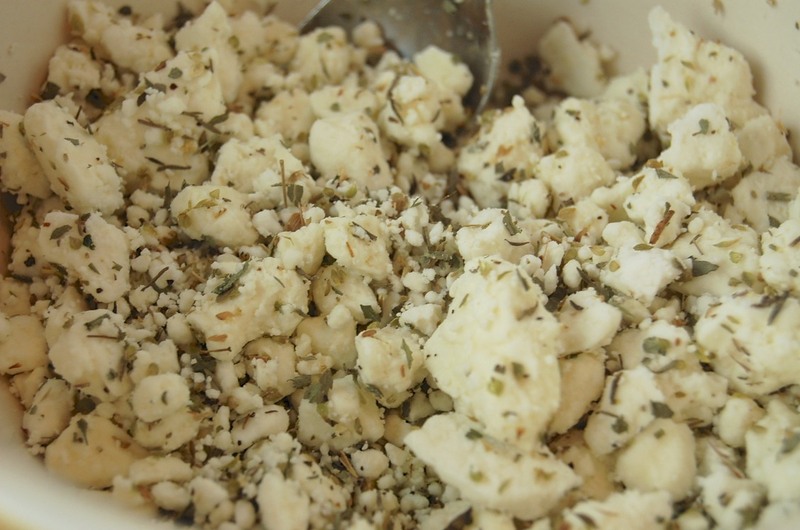 In a medium bowl, mix the feta, spices, garlic, and lemon zest together. 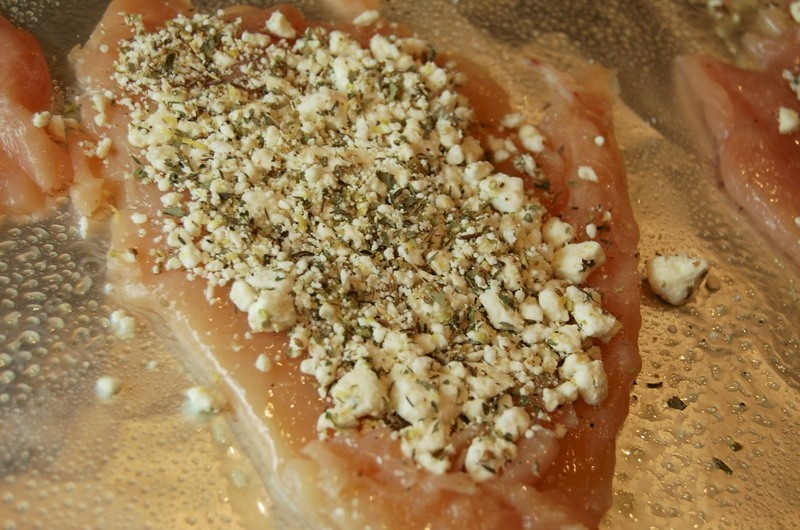 Sprinkle chicken with the feta mixture, dividing evenly, and keeping the filling away from edges. 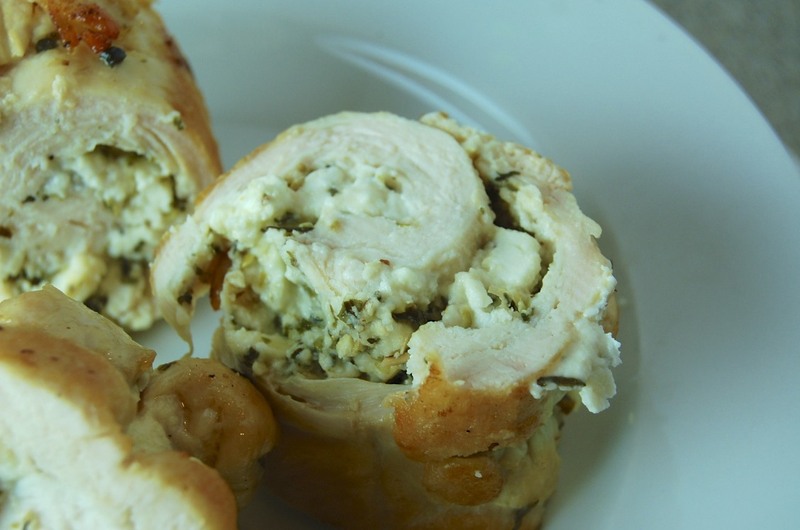 Beginning at the narrower end of a chicken breast, roll up, enclosing filling as you would a jelly roll. Tie with kitchen twine at one-inch intervals to secure. Repeat with remaining chicken breasts. Preheat oven to 450 degree. Heat two tablespoons of oil in a large heavy skillet over medium-high heat. 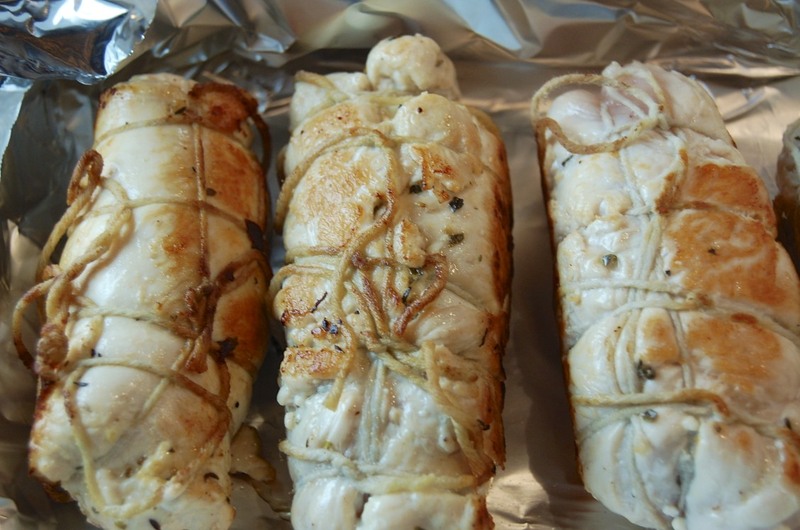 Add chicken roulades and cook until brown on all sides, about 10 minutes. 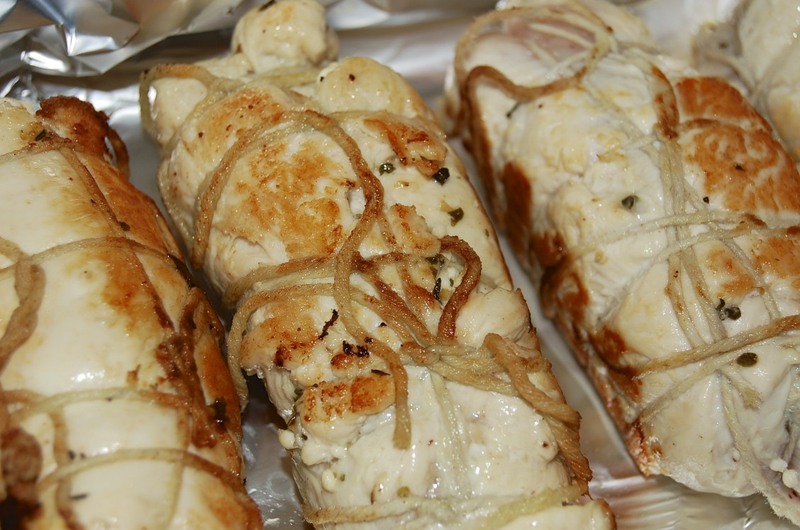 Transfer chicken roulades to a small baking dish and bake until a thermometer inserted into the thickest part of roulades registers 160 degrees, about 5-7 minutes. Cut off the strings and cut the roulades across in inch-long pieces–essentially making inch-wide “wheels”. Drizzle with a little fresh lemon juice and ENJOY!